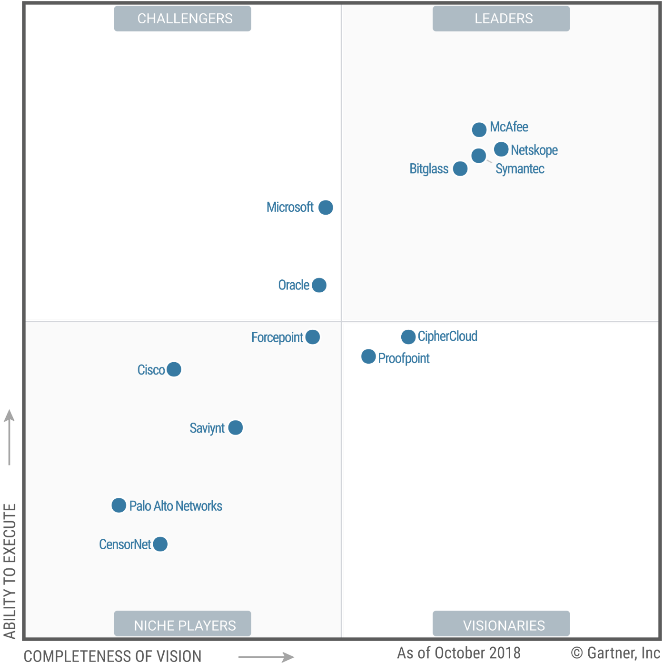 After a strong year of product updates and innovations, we’re excited to so see that Microsoft jumped into the Challenger position in Gartner’s 2018 Magic Quadrant for Cloud Access Security Brokers (CASB) and solidified its leadership position in KuppingerCole’s 2018 Leadership Compass in the same product category, backed by strong customer adoption rates. CASBs give organizations the ability to securely embrace the possibilities of their cloud apps and services and they can be crucial in driving a successful cloud security strategy. While the market for CASB is still relatively young, analyst firm Gartner, Inc. predicts that 60 percent of large enterprises will be using CASB technologies by 2020, with independent forecasts expecting to reach a total addressable market of $7.5 billion in the same timeframe. We have seen a steep increase in the adoption of Microsoft Cloud App Security across all customer segments, ranging from large enterprises such as global energy leader BP, to smaller organizations such as Affinity Workforce. Our internal estimates show that Microsoft Cloud App Security has a current market share of more than 30 percent in the CASB space. This provides us with insights from billions of signals every day—and direct input from the many organizations that we work with—allowing us to continuously improve the product and react to what we’re seeing in the market. 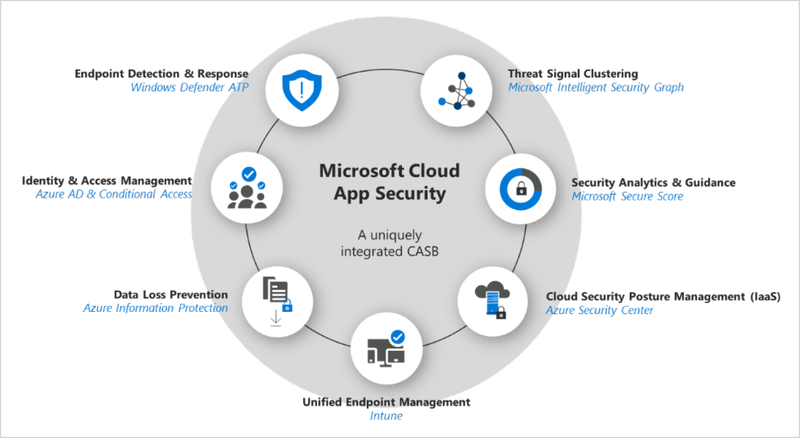 By integrating with leading security, identity, and productivity solutions across Microsoft 365, Microsoft Cloud App Security is uniquely positioned to drive innovation in the CASB space. 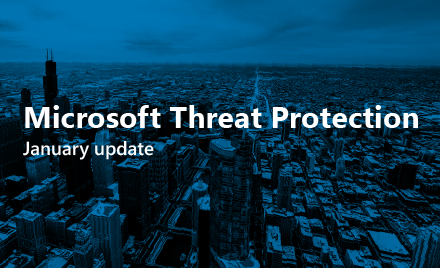 Recent additions include our native integration with Windows Defender Advanced Threat Protection and our consistent labeling experience via Azure Information Protection. 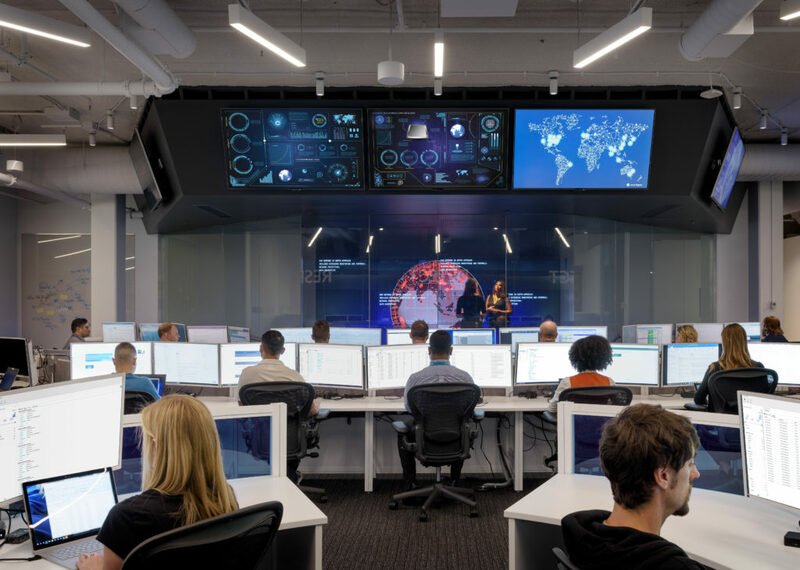 Among many others, these help organizations gain visibility into their cloud apps and services, provide sophisticated analytics to identify and combat cyber threats, and control the travel of sensitive information to equally support Microsoft’s native cloud services, as well as numerous third-party cloud apps and services, such as Dropbox, Salesforce, and others. Microsoft Cloud App Security’s portfolio of native product integrations. In Gartner’s 2018 report, we significantly improved our positioning and moved along both axes, Completeness of Vision as well as Ability to Execute, up from a Niche Player to a Challenger position. We see the substantial improvement as a testimony to our strong ability to execute against our feature roadmap and the momentum we are gaining with customers. In its 2018 report, analyst firm KuppingerCole positions Microsoft as a Leader for the second year in a row. 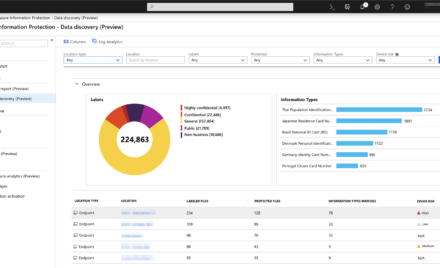 This further emphasizes the strength of our native integrations across Microsoft 365, including Azure Active Directory (Azure AD), Office 365, and Azure Security Center, and the significant customer base of Microsoft Cloud App Security. This year’s results confirm Microsoft’s strong commitment and rapid progress in this space—and with the progress of the overall market, the importance for organizations to start considering the use of a CASB continues to increase. We made both these 2018 analyst reports available for review. Download the Gartner Magic Quadrant 2018 for CASBs report and the KuppingerCole Leadership Compass 2018 report. If you’re not using Microsoft Cloud App Security, start a free trial today and learn how to get started with our detailed technical documentation. If you have any suggestions, questions, or comments, please visit us on our Tech Community page. To stay up to date with our latest product innovations, follow our product blog.